In Pastre’s debut thriller, an Arizona cop digs into a cold case involving a missing 16-year-old girl and a potential killer who’s evaded justice for more than a decade. Detective Nick Shaw of the Verde River Police Department isn’t sure what to make of a handwritten note found in an old car undergoing restoration. It appears to be an aborted murder confession, but it discloses neither the writer nor the apparent victim. Nick, however, quickly sets his sights on Charles Thurston, the car’s original owner, whose stepdaughter, Jamie, was reported missing about a decade earlier, about the same time as the note was dated. The detective and other police officers, going with the assumption that Jamie is dead, re-examine the case, and it’s fairly obvious that they’re getting a little too close to the truth when one cop is assaulted and another is shot. 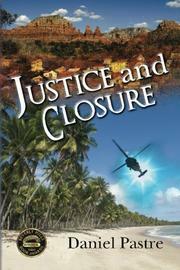 The investigation ultimately finds Nick chasing a murderer all the way to El Salvador. The novel begins as a typical detective story—a man walks into the police department with evidence that reignites a cold case—but it’s more about Nick’s ensuring that a criminal pay for his crimes. Nick’s incentive for solving the murder is both considerable and convincing; he sees his wife’s death from a traffic accident as murder, with the drunken driver as a killer who’s escaped major punishment. The investigation itself is less cogent; it’s unclear why the original inquiry never made headway since the notoriously unpleasant and reputedly abusive Thurston would have been a viable suspect back then. But the cast, like the protagonist, is wonderfully nuanced—Nick’s idle partner, Beau, who spends most of his time on smoke breaks or at lunch; Lacey, Nick’s love interest, who adorns herself in vintage apparel; and the easily stressed police chief, Pritchett, whose secretary reminds him of his blood pressure and who tries relaxing with aromatherapy. We learn the killer’s identity well before the ending, along with an explanation of what exactly happened to Jamie, but the third act, quite fittingly, concentrates on character, as Nick’s major hurdles by this point are meting out justice and deciding for himself if he has fallen in love with Lacey. A detective story that’s more about the detective than the story, but the protagonist’s personal drive and all-around appeal are ample enticements for readers.